See why everyone is talking about the new Alec Bradley Tempus cigar. 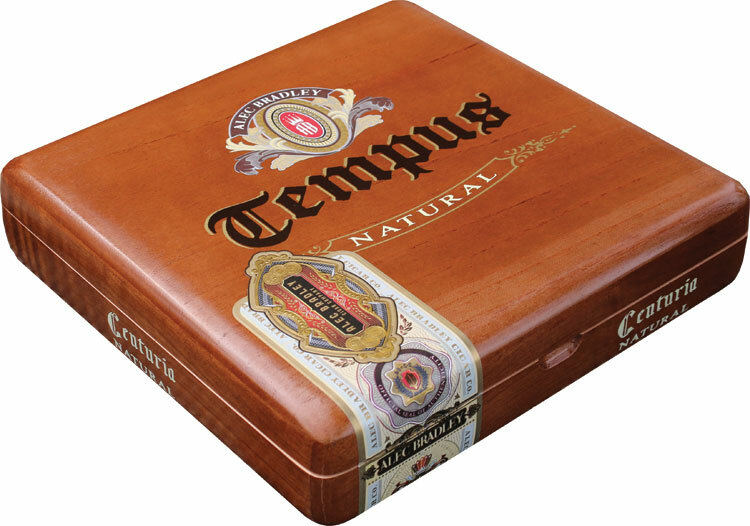 Named after the latin word for time, the Alec Bradley Tempus is a combination of Honduran Criollo'98 wrapper blended with Corojo and Criollo filler from the Trojes region of Honduras. Brand owner Alan Rubin purchased only the best wrapper from each harvest since his first trip in 2001. The Tempus is the first brand by Rubin bearing the company name 'Alec Bradley'. According to Rubin, Tempus was seven years in the making. The results, aged tobacco with a full bodied yet smooth, satisfying smoke, rich and balanced with subtle sweetness. Sure to appeal to the most discerning smoker. Don't waste time, or...um..'Tempus'. Order today.